Trawls have been used in oceanographic research since the early studies of oceanic biodiversity. Charles Darwin in December 1833 wrote "During our different passages south of the Plata, I often towed astern a net made of bunting, and thus caught many curious animals." Seventeen miles off Cape Corrientes, Darwin also notes a "net overboard to catch pelagic animals," indicative of midwater trawling. Trawls are specialized large nets, akin to those used by fishermen. Trawls can take a variety of forms depending on the organisms of interest. For example, the type of trawl used to study large shoals of adult cod is different from the trawl used to collect small planktonic larval cod. There are both benthic (used along the surface of the ocean floor) as well as pelagic (used down to depths as great as 5000 meters) trawls. Recently developed multiple opening/closing net and environmental sensing systems (MOCNESS) are used to trawl for zooplankton in deeper water than previously explored, and at different water depths in a series to study the movement of organisms in the water column. Though trawls are useful in the study of marine biodiversity, they have their limitations. Many animals are very good at avoiding capture in trawls and other species can be easily damaged or destroyed in the process (especially those from great depths and those that are soft-bodied, such as jellyfish). 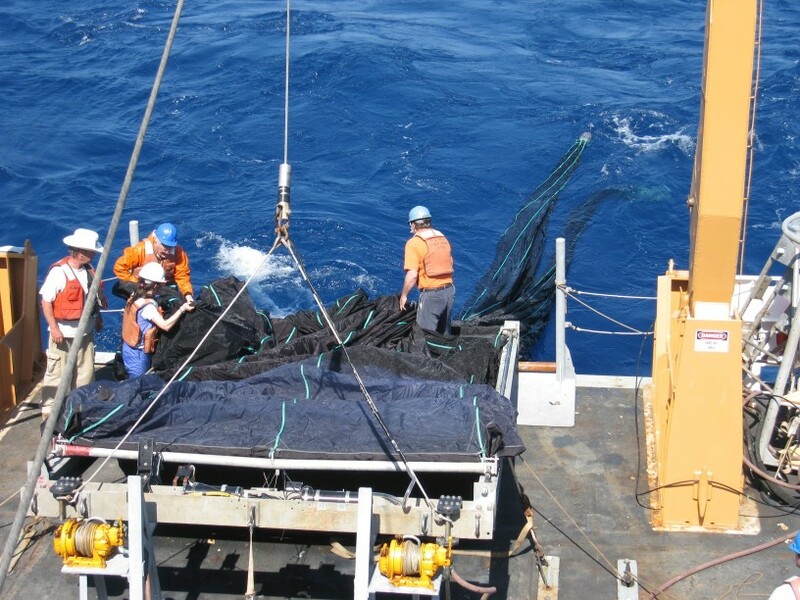 Therefore, trawls are often combined with other research tools such as Video Plankton Recorders, acoustic technologies, and larger imaging equipment. Trawls are a mainstay of marine research and Census projects use them extensively.